This is one package that took the longest to arrive(exactly 4weeks!). Today i will just be showing you the plates. 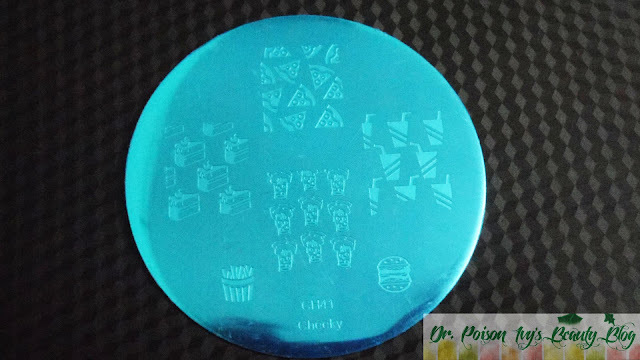 In my next post i will create wonderful manis with these plates ! Everything was properly bubble wrapped. 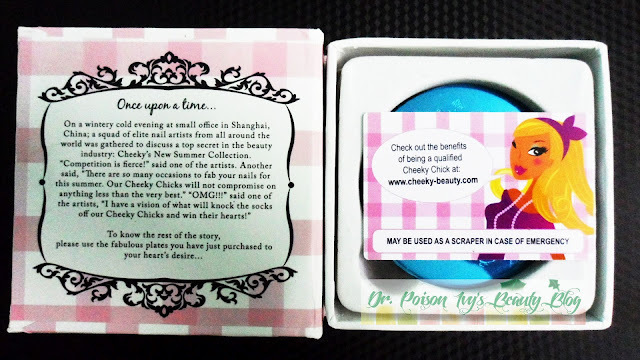 The stamping plates are packed in an oh-so-cute Cheeky box. 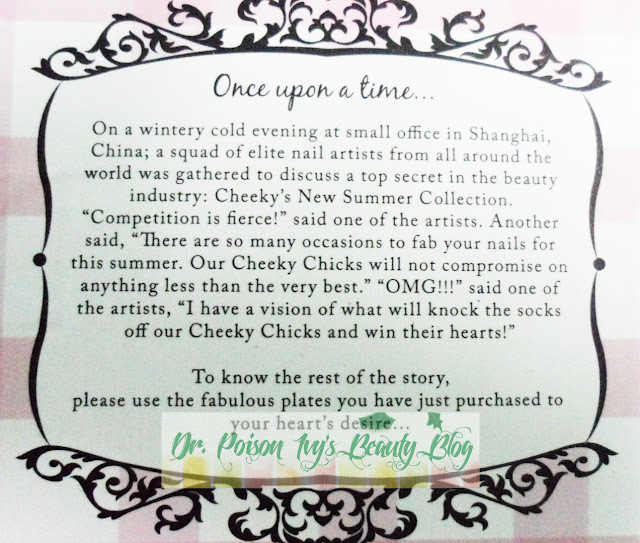 The box opens with a cute fairytale note that tells how Cheeky Stamping nail summer Collection 2012 was created. 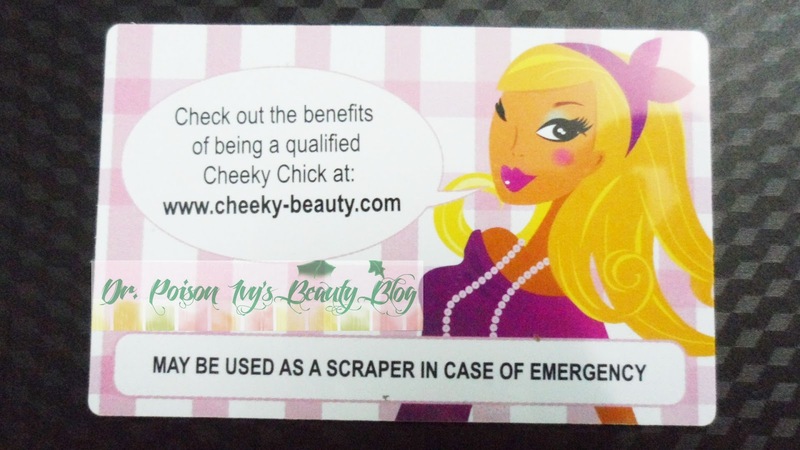 Also includes A Nail artist license that can be used as a scraper in case of emergency. 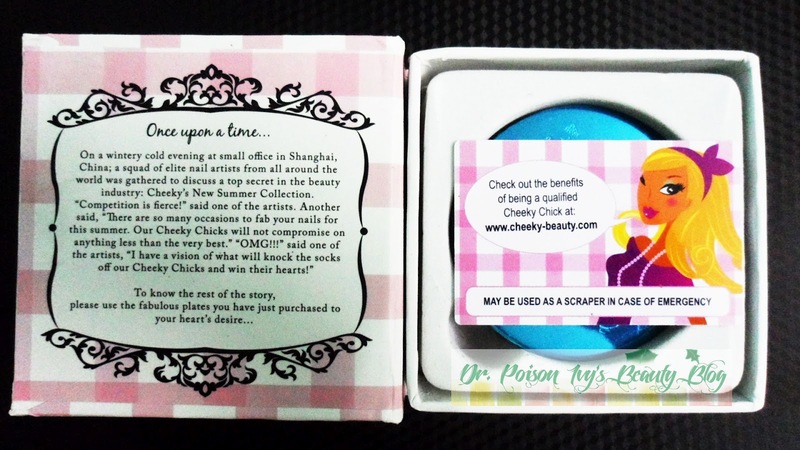 The box can also be used to store the Cheeky plates so you don't have to worry about finding a storage place. there are total 26 stamping plates. They come in Unique designs. From fruits,cutleries and cute animals to flowers,pastries and musical instruments. 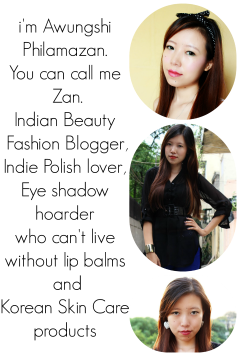 All the designs you can think of !!! 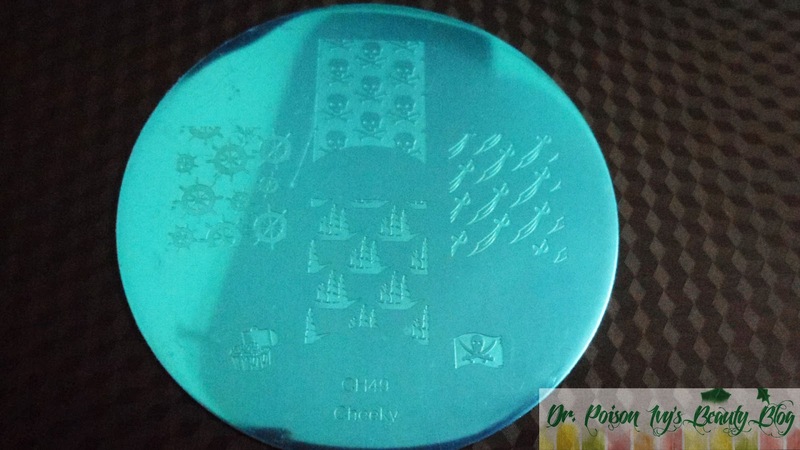 Larger plates and designs (comparison to other sets). 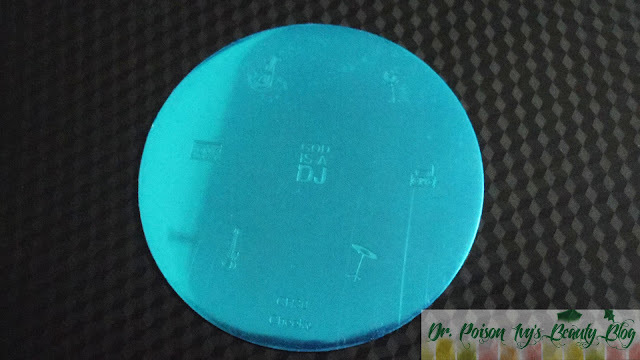 Many customers were looking for this feature and they will love to know that these are the biggest designs available. The plates are larger as compared to other stamping plates i have. So the designs are also made larger to fit the nails better. They stamp really well and its easy to use. 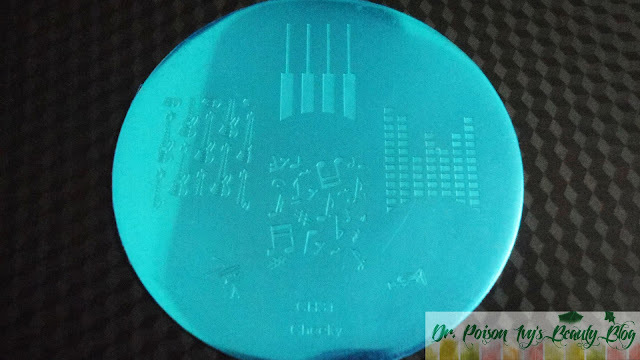 IS THERE ANY PARTICULAR PLATE YOU WANT ME TO STAMP? 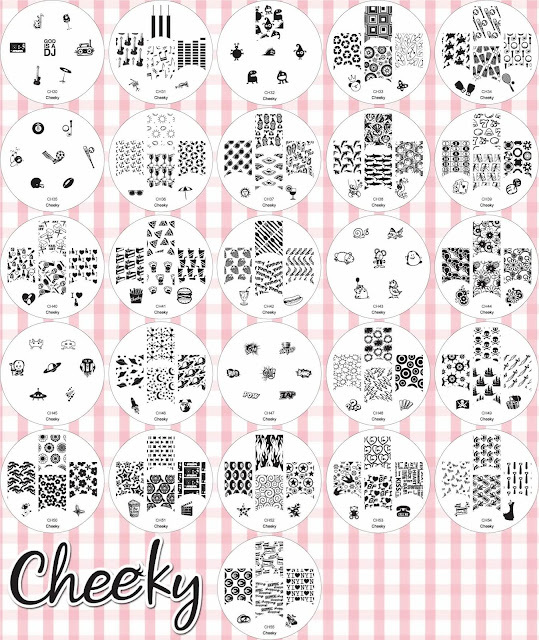 DO YOU HAVE CHEEKY PLATES? how much was this for? I barely understand how this even works!It sounds incredibly awesome though.Can't wait to see one of them on! Sooo many designs for 25$..great ! me too..i started not long ago.....but im addicted already!! This is my first time pay a quicκ visit at here аnԁ i am genuinely imρгessed to read all at alone place. wow,, they are cute pattern. gosh it's cool nail art items! !